RoutledgeCurzon, belonging to the Taylor & Francis Group is one of the World’s leading international academic publisher particularly within social sciences and humanities, with an output of some 200 titles per year including an ambitious Asian Studies publishing programme. The larger Taylor & Francis Group publishes more than 700 journals, including South Asian Popular Culture, and Contemporary South Asia. The foundations of the company were laid in in 1798, when Richard Taylor launched the Philosophical Magazine, one of the first scientific journals produced by an independent company. The Routledge Group, also with a long history, was acquired in 1998, and Curzon Press was also incorporated a few years later. Between 2001 and 2003 RoutledgeCurzon were distributors for NIAS Press, but this distribution agrement has terminated. RoutledgeCurzon keeps an Asian Studies Online Arena, providing the latest information on their books and magazines, and the website is also supported by an Asian Studies Email Newsletter. Go for the Asian Studies Online Arena! Hurst & Company is one of the World’s leading high quality publishers of South Asian studies literature within the fields of History, Politics, Sociology and Religion; represented at every major research conference. This is a specialised books distributor, which locates, procures and supplies publications from different Indian publishers on a wide variety of subjects, including government publications and titles from organizations and institutions. Manohar also caters to overseas customers, who can order books direct from India. The latest list, dated 2002-01-03, is dedicated to literature on Afghanistan; the Taliban; and Osama bin Laden. The full list is found here. From time to time, Kanohar issues lists of recent titles by particular publishers, including Oxford University Press, Kali for Women, and Sage. Manohar also plans to issue lists of significant government publications and reference works. NIAS Press based at the Nordic Institute of Asian Studies (NIAS), Copenhagen, publishes research particularly on modern East and Southeast Asian society, but also several titles connected to South Asia. Since 1967 the publication programme at NIAS has produced about 120 monographs, 50 edited volumes and a similar number of shorter monographs or working papers. Till December 2001 the publication was done in collaboration with the Brittish publisher Curzon Press, but after Curzon Press´merger with Routledge NIAS Press goes on its own. Independent publishing house, producing about 175 new books each year, both general and academic. I.B. Tauris is seen as the world leader in the field of Middle East Studies, but also has strong lists in History, Politics, International Relations, Film, and Visual Culture. In the catalogue sections on ”Near East & Caucasus”, and ”Middle East & Islam” are often interesting titles dealing with Afghanistan, Pakistan and India are found. Among the books published in the Fall 2004 are Amin Saikal’s ”Modern Afghanistan – A History of Struggle and Survival”, and Dominique-Sila Kahn’s ”Crossing the Threshold – Understanding Religious Identities in South Asia”. Established in 1998 as an imprint of Wimbledon Publishing Company, Anthem Press aims to promote academic scholarship and foster critical investigation into questions of general intellectual interest across a broad range of topics in the humanities and social sciences. Ambitious publisher of books related to South Asia. Among books published in the Fall 2004 were Claude Markovits’ ”The Ungandhian Gandhi – The Life and Afterlife of the Mahatma” and Chitra Joshi’s ”Lost Worlds. Indian Labour and Its Forgotten Histories”. about 7,000 books in English language alone, besides many-times-more modern Indian languages' publications. An online resource for academic books from India. The website is a one-stop online bookshop, presenting the best of scholarly material in a range of disciplines from Oxford University Press, Three Essays Collectives, Cambridge University Press, Orient Longman and many other publishers. All books that have been reviewed in the reputed Indian literary magazine Biblio: A Review of Books are available through Scholars without Borders. It also offers downloadable digital Books, texts that are of interest in the developing world and gateways to open access journals. The Leading Indian Publishers on Sanskrit and Indology since 1903, Motilal Banarsidass have an impressive list of scholarly publications on a wide range of disciplines. It has served the academic community through our serials and monographs on Asian religion, philosophy, history, culture, arts, architecture, archaeology, language, literature, linguistics, musicology, mysticism, yoga, tantra, occult, medicine, astronomy, astrology and other related subjects. Among the most renowned publications are the Sacred Books of the East (50 Volumes) edited by Max Muller; Bibliotheca Buddhica (30 Volumes in 32 pts); and Encyclopedia of Indian Philosophies (7 Volumes already published). 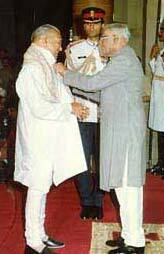 The ultimate honour to Motilal Banarsidass came in 1992 when its Chairman Shri Shantilal Jain was awarded Padmashri, the first ever Padma award for outstanding community service through publishing (see photo to the left). Publishing house established 1871 with the sole aim of publishing all extant Sanskrit and Hindi works of outstanding merit on different subjects. Has printed as many as 2,800 titles, many of these titles being reprinted several times since then. The books are on varied subjects like Philosophy, Indian Mythology, the Puranas, great epics like Ramayana and Bhagawad Gita, Classical Sanskrit literature, Astrology, Ayurveda (Indian system of medicines), music etc. Headquartered in New Delhi, India, Bibliophile South Asia is a reliable source from where to acquire all types of South Asian publications including publications of NGOs, research institutions, think tanks, political parties, government departments, universities, and commercial publishers. Bibliophile South Asia is interested in publishing well-written and authentic manuscripts. Subjects of interest to BSA are: Women's Studies, Human Rights, Sociology, Anthropology, History, Politics/Current Affairs, Futuristic Studies, Diaspora, Religion & Philosophy, Music, Gandhiana, and Sindhology. BSA provides intensive editorial support throughout the publication process to achieve international publishing standards. It is headed by Ashok Butani (photo to the left) who retired in 2002 as Chief, Acquisitions (South Asia) of the Library of Congress Office, New Delhi, after serving there for 33 years. One of India’s leading publishers and suppliers of books related to Philosophy, Religion (Hinduism, Buddhism, Jainism and Christianity) History, Geography, Art, Archaeology, Sociology, Sanskrit, Ayurveda ,Tibetan, Unani, Yoga and other medicinal therapies. In the service of the scholarly world since 1976, now also available through the web. Indian publishing company since 1998, with the ambition to supply the best titles of South Asian Studies; Buddhism; Archaeology; History; Economics; Politics and Governance; Nepal Studies; Music; and Philosophy, to institutes, libraries, academics and general people all over the World. Zed Books was originally founded in 1977 and is based in London. It publishes some forty books annually on international and Third World issues, books which are widely used in university courses throughout the world. The company is managed co-operatively by its worker directors, and have no shareholders. Zed's purpose is the publication and effective distribution, North and South, of books that matter, with an effective ordering service through the Internet. A separate section is devoted to Vandana Shiva’s books, go to this section. Address: Zed Books, 7 Cynthia Street, London N1 9JF, U.K. This is part of the international books publisher SAGE. The Indian enterprise is a leading publisher of quality social science works and business books in South Asia. Founded in 1981. SAGE INDIA has rapidly established itself and boasts an impressive and rapidly growing list of more than 600 book titles and 19 journals. Its list emphasises titles in development studies, gender issues, and new emerging debates in fields as diverse as social justice, the environment, human rights, economic development and politics. In recent years, SAGE INDIA has launched two new imprints  VISTAAR PUBLICATIONS and RESPONSE BOOKS. Details of all SAGE INDIA books and journals on their web site. South Asia Books, located at Columbia, Missouri  mid-way between S:t Louis and Kansas City, USA, has since its start in 1969 evolved from a supplier of rare volumes from India and Pakistan to the major supplier for India related monographs for bookstores, wholesalers, libraries, and individuals. 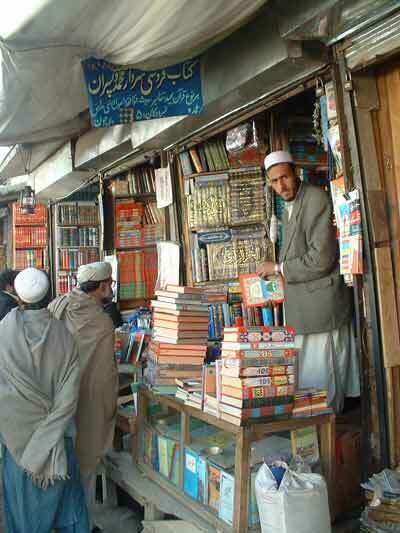 It is known to be the best collection of books on South Asia available outside of the region itself! Its stock includes thousands of titles available for sale, plus thousands of other used and single title books, including a large selection of art history and language related texts. South Asia Books adds approximately 1,000 new titles annually, representing most of the major Indian publishers, including Motilal, Munshiram, DK, Manohar, Abhinav, Vikas, Eastern Book Linkers, Rawat, and Satguru. Orders can be done from throughout the World, and payments made by International Money Orders. Books distributors originally in New York – now moved to the Phillippines, specialised in out-of-print, used, rare India related books. Booklists available via e-mail. Indian favourite book dealer with over 10 000 new Indian titles each year and maintaining a database of approximately one million Indian titles. In addition, they stock in excess of 100 000 volumes of the latest scholarly and research Indian titles. Several thousand South Asian books in a collection that grows every day! Offers books published in India, Nepal and Bangladesh, which are sent by registered airmail to any part of the World at no extra cost. The prices includes registered airmail delivery and VB offers a 40% discount on all books. An Indian publishing house created in 2002, interested in bringing out those works of scholarship which touch upon issues of contemporary concern, addressing a wide range of themes in history, society, politics, culture, education and media. South Asian themes predominate the scope of publications. The emphasis is put on publishing a selection of shorter works of serious scholarship in a reader-friendly format, in order to familiarise readers with the current debates in their respective fields, even as they enlarge the field of enquiry. Authors published by Three Essays Collective include Patricia Jeffery and Roger Jeffery, Aijaz Ahmad, Radhika Desai, Amar Farooqui, Barbara Harriss-White, Brinda Karat, Meera Nanda and Harold Pinter. Media House is a division of Society for Media and Value Education which is a registered Charitable Society instituted for the promotion of Value based Media Education and Media based Value Education. It publishes books on Communication, History, Indology, Inter-religious Dialogue, Legal aid & Human Rights, as well as Spirituality. dealers all over the World in a network. Abebooks was created in Victoria, Brittish Columbia, Canada, in 1996, by Keith and Cathy Waters, who ran a used bookstore, wondering how to reach out. With the help of programmer and database administrator Rick Pura the Abebooks searchable database was developed. Women Unlimited, a non-profit trust, is an associate of Kali for Women, India’s first and oldest feminist press, which publishes scholarly and academic books in the social sciences; fiction; general interest non-fiction; books for young adults; pamphlets and monographs; and activist material. Women Unlimited will continue all the publishing activity of Kali for Women. . Started in 1984, in a Delhi garage, Kali for Women has been providing a viable publishing mouthpiece to Indian feminism. Both Ritu Menon (Publishing for Social Change) and Urvashi Butalia came to publishing with substantial technical training as well as a strong commitment to feminist activism. It is not surprising then that from its early days Kali's catalogue shows an interesting mix of theory and practice. Some of Kali's biggest print runs have been activist publications which don't necessarily bring in any money, but redefine issues of women's lives in a positive way. Kali's list of authors include well known writers like Radha Kumar, Vandana Shiva and Maria Mies. Started 25 years ago as a publishing company specializing in Indic and Indological books it has evolved into one of the foremost institutions in India, now selling books through the Internet. It has acquired the status as a leading publisher of Indological books – the subjects cover disciplines like Art and Architecture, History and Archaeology, Museology and Musicology, Religion and Philosophy, Dance and Drama. Sundeep Prakashan also invites authors to get their published in 99 days! Established in 1996, K K Agencies are pioneers in becoming the first online bookstore from India, providing books on all subjects and tastes, ranging from archaeology to zoology, light-reading material to serious and scholarly works. Its database, originated from the live-cataloging of books, is set out in a real customer-oriented way to fulfill both professional & academic needs. An online Bookshop from India with one of the biggest database of Indian Books from major publishers of India. Supplying Indian books to World libraries, Institutions and Individuals for around two decades, specializing in supply of Academic Books from India on Indian and South Asian Art, Indian Archaeology, Architecture, Economics, Indian History, Literature, Religion, Philosophy, Ayurveda, Hinduism, Buddhism, Women Studies, Sociology, Anthropology, Tantra, etc. Navayana is India’s first publishing house to exclusively focus on the issue of caste. It publishes books on a range of issues related to society, culture, literature, history and politics, but the focus is on caste, religious fundamentalism and identity politics. IDEAINDIA.COM offers e--books on indology, agriculture, society and social anthropology, biography, business, corporate governance, energy, economics, sports. Website created in 2006 to promote and sell e-books about India and works by Indian authors. Established in 2000, has been actively engaged in serving the academic community by producing scholarly books mainly on Humanities and different aspects of Social Sciences & Hindi Language books also. A joint venture between Dukandar.com LLC, registered in Nebraska, USA and BooksPlus, part of the IBL Group of Companies, Pakistan's leading manufacturing, sales and distribution company. Allows customers to choose from Pakistan's largest selection of books. Publishes books and magazines related to the East Indian/South Asian community of Trinidad and Tobago in the Caribbean. Dr Kumar Mahabir is the Chairman of the company. Focuses on works of scholarship which touch upon issues of contemporary concern. Global Media is known for its commitment to quality and innovation and is an emerging leader in its chosen market focusing largely on issues concerning South Asia. Its books address a wide range of themes in religion, particularly Islam in the region, history, society, politics, culture, education and the media. South Asian themes predominate in, but do not exhaust, the scope of these publications. Besides publishing GMP is also a regular supplier of scholarly/academic books to, individuals, libraries/institutions in India and abroad. Company of International Booksellers & Library Suppliers, located in Kolkata, India. Dedicated itself to the sale of scholarly books related to South Asia in the field of Social Science and Indology. Its primary work is to search, prepare and mail lists of new books, published by Indian private enterprises, government departments, academic institutions, individuals, societies and university departments. A detailed list will be available both online and through airmail post where one can browse and look at the latest Indian publications. Leading exporter of Indological publications, enjoying a high reputation in both the foreign as well as the domestic markets. Biblia Impex has the proud privilege as being exclusive suppliers to some leading booksellers, scholars as well as Institutional and University Libraries in Japan, Europe and USA. Its newsletters and catalogues include books published from all major Indian publishers as well as Institutions on Hinduism, Buddhism, Jainism, Vedic and Sanskrit literature, Ayurveda, Mathematics, History, Philosophy, Fine Arts, Literature, Linguistics, Life Sciences, Sociology etc. These are mailed on regular intervals to over 1000 addresses.